Hi Dropkick Can you help out those of us in the dark as to what is meant by TR? TR=True Reformed. It was postioned against those that held to the Federal Vision. It was typically worded something like TR's vs. FVers. Terms are tricky things, and the term "Truly Reformed" can mean a variety of things, sometimes positive, sometimes negative. Simply Google the term to see the variety- this particular person traces the term to the early days at RTS. The Internet Monk takes quite a different view seeing the term as describing those who think their interpretation of Reformed doctrine is correct and true in their self-perception. Sometimes the term has eschatological implications- theonomy, post millennialism, reconstruction- though the term TR does not have a symbiotic relationship with any particular view of the end times as far as I've come across it. I've never used the term "Truly Reformed" to describe those who oppose Federal Vision theology, but it wouldn't surprise me to find out that some would (as FV theology is viewed by those who oppose it as introducing new spins on previously accepted Reformed standards). As far as I understand the popular usage of the label, it refers to those who are strong supporters of their confession of faith (particularly the Westminster Confession). 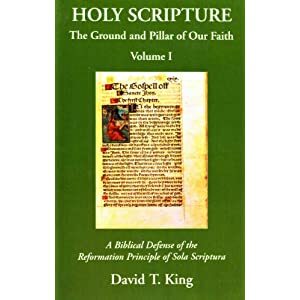 Sometimes the term refers to those who are advocates of Psalm singing only or someone who would take a disparaging view of baptists of any sort (and would therefore insist that a "Reformed Baptist" is an impossibility according to traditional Reformed confessional standards). I wouldn't apply the term to myself, though I certainly am strongly confessional, and those confessions are a significant part of my overall worldview. Because of this I have an eye of suspicion on the general use of the term "Reformed." That is, some of the historic Reformed denominations have abandoned a strict dedication to their confessional standards (for instance, the Christian Reformed Church). On the other hand, I am not an advocate of all conservative confessional Reformed theology. For instance, I have serious issues with such bodies like the Netherlands Reformed Church and those groups in her ken. Confessions are secondary standards, and they are not infallible. A confession of faith is simply a group of people attempting to speak in unison. A confession serves as a response to the word of God. That is, a group of people read the Scriptures and respond back confessing what they hear the Scriptures saying. A confession has a variety of functions. It can serve as a witness to the world as to what a group believes. It can guard that group against what it perceives to be heresy and unbelief. In other words, it serves as secondary standard to unify a group of people. Here again would be an interesting sub-topic for the folks here that have been consigning each other to hell over baptism or the extent of the atonement. If those discussions ever weary the warriors here that typically participate in them, they could move on to what role do the Lutheran confessional standards play in the life of the Lutheran church (or advocate) as compared to what role the Reformed confessional standards play in the life of the Reformed church (or advocate). It appears to me after reading a number of squabbles within general Lutheranism, this may in fact be a time to develop the term "Truly Lutheran." "Truly Lutheran" is centered in the cross of Christ. On this day in 1546, Martin Luther fell asleep in the Lord. What follows is a selection from his reflections on the Second Article of the Apostle's Creed. "If now we are asked, What do you believe in the Second Article of of Jesus Christ? Answer briefly: I believe that Jesus Christ, true Son of God, has become my Lord. But what is it to become Lord? It is this: that He has redeemed me from sin, from the devil, from death, and from all evil. For before I had no Lord nor King, but was captive under the power of the devil, condemned to death, enmeshed in sin and blindness.